If you’re a new iPhone user, there are a few skills you should learn to get the most out of your new device. 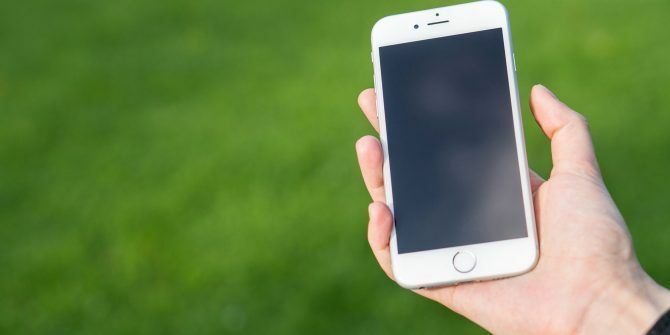 In time, you can move onto the cool hidden features 10 Hidden iPhone Features That Will Make You More Productive 10 Hidden iPhone Features That Will Make You More Productive You're probably not using some of Apple's most useful iOS features. Read More , but grasping the basics first is vital. Here are a handful of iOS basics that all iPhone or iPad owners should know. Every app you install on your iPhone lives on your home screen. You can move them around by lightly pressing and holding on an app until it starts shaking. Don’t press too hard or you’ll activate 3D Touch. Once all your apps start shaking, simply touch and hold one and you can move it anywhere. Drag an app to the side of the screen and you can move it to another page. If you drag an app to the right side of the rightmost page, you’ll create a new page for more apps. Drag an app on top of another app to create a folder. You can add more apps to it by dragging them over the new folder. Tap a folder to expand it, then you can press and hold any apps inside and drag them out of the folder to remove them. Lightly press and hold any app until all your icons start shaking. You’ll see a small X icon above every app that you can remove. Simply tap that X and confirm the uninstall to remove the app. Of course, you can uninstall any app you’ve downloaded. With iOS 11 A Complete Beginner's Guide to iOS 11 for iPhone & iPad A Complete Beginner's Guide to iOS 11 for iPhone & iPad Here's everything you need to know to get started with iOS 11. Read More , you can remove some built-in apps like Stocks and Maps. You can’t remove every app though. If you have an iPhone 6S or newer, don’t forget about 3D Touch Everything You Can Do With 3D Touch on Your iPhone Everything You Can Do With 3D Touch on Your iPhone 3D touch is really just a fancy name for a pressure-sensitive screen, but adds a whole array of extra input options to iOS. Read More as well. This cool feature lets you press your screen a bit harder to activate shortcuts for many apps.